Runecast, a leading provider of predictive analytics for VMware environments, today announced the availability of the latest version of Runecast Analyzer. Runecast Analyzer utilizes Artificial Intelligence (AI) and Natural Language Processing (NLP) to optimize VMware vSphere, vSAN and NSX environments. It is built on patent pending technology that automatically discovers all configurations that can trigger outages (such as Purple Screen of Death), fail security audits or other issues that negatively affect performance. "Runecast is focused on helping customers mitigate operational risk and increase security compliance across the entire SDDC" said Stanimir Markov, Runecast CEO. This latest version further increases the visibility for system administrators of their VMware environments, enabling them to ensure systems are operating at full performance to deliver on their business requirements. 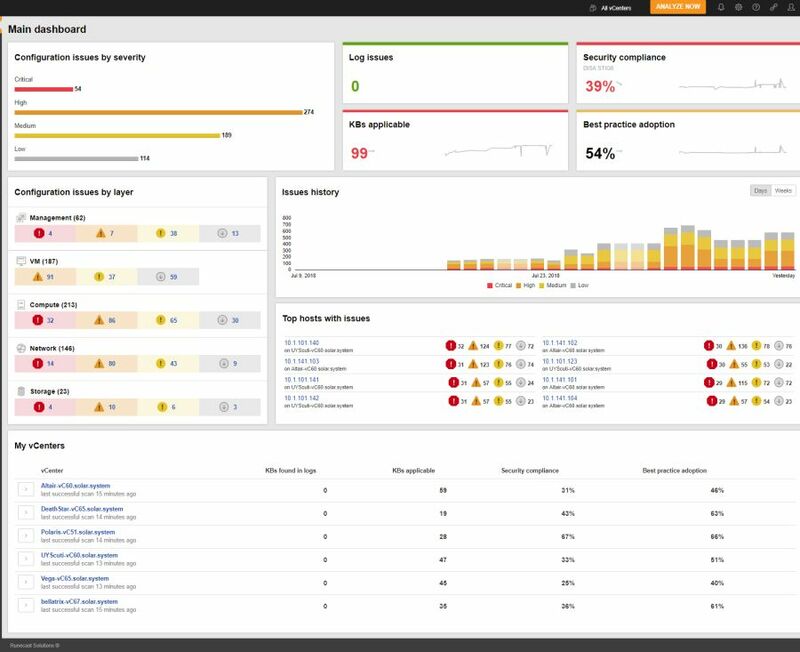 By delivering the ability to see historical charts of every scan ever performed on the environment, Runecast Analyzer 2.0 allows system administrators to showcase the result of their work; increasing the stability of the environment by demonstrating fewer and fewer issues and detailing tighter security, with fewer vulnerabilities. With the majority of enterprise customers having mission critical environments and stringent security audits, the ability to visualize tangible improvements over time is crucial to the success of their operations and their business. Data security is also of paramount importance, Runecast Analyzer works on premises and even offline, so no data ever leaves the customers' data center.